Can you say FABULOUS?!! This light filled Large 1 Bedroom ALSO has a separate room with a MURPHY BED, wide plank HARDWOOD floors throughout, custom CLOSET ORGANIZERS, granite and SS, balcony facing quiet woods. Secure building, parking, storage, gym, pool, club room, business cntr. Steps to Whole Foods, Starbucks, shopping, and more. Near 66 and Fairfax County Pkwy. Metro Shuttle bus. 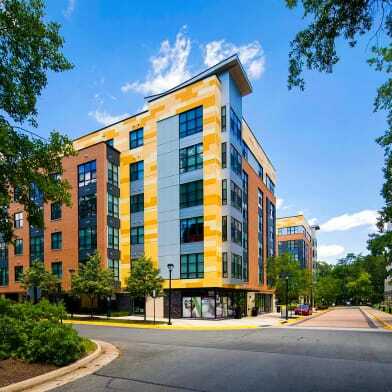 Have a question for 4480 MARKET COMMONS DR #506?